If you’re looking to rent a photo studio in Los Angeles, yes, you can just choose any old studio that appears to fit your budget. However, you’ll get much more professional results by looking carefully at the type, size and quality of the studio space on offer. At Goya Studios, we offer a number of exceptional photo studio spaces that are designed to cater to any and all of your needs as a professional or amateur photographer. Whether you’re looking for your very first or hundredth studio space, find out everything you need to know to choose the best photo studio Los Angeles has to offer. A photo studio or photography studio is a dedicated space that’s specially designed to stage a photo shoot in what’s commonly called a studio session. They usually consists of a large, open space that makes it easy to create a wide range of backgrounds to tailor the look of the photo shoot to suit a particular creative. They also allow you to use artificial light to easily manipulate the atmosphere of the set while eliminating or accentuating shadows as required. As such, photo studios are often used for portrait photography, product photography and food photography. But, their applications are generally unlimited. Photo studios commonly contain white cycloramas (white cycs) that act as a plain and professional background to shoot in front of. Less commonly, they may feature a green cyclorama (green screen) that enables the photographer to digitally superimpose any other background onto the photograph during the editing process. However, any room that allows the photographer to carefully control the environment and lighting can be considered a photo studio. In the top photo studio Los Angeles has to offer, you’ll probably also find a range of other facilities that make running a photo shoot much easier. These include things such as wardrobe rooms and hair and makeup rooms to allow the models to prepare without causing disturbance to any other photos that are being taken. Eliminate the weather – Working in a Los Angeles photo studio can be done at practically any time of the day or night, regardless of what the weather is doing. Forget messed up hair, makeup and clothing from the elements or annoying light patches from ruining the perfect shot. In the studio, you’re in control. Flexible angles – Working in a dedicated, large and open space of a photo studio in Los Angeles, you’ll be able to move the camera around as needed without having to work around the surroundings on location. This enables you to easily capture all the shots you’d like without having to move the whole set. Focused work environment – On location you, your models and your crew can be easily distracted by onlookers, noise and the general environment. However, in a studio, you’ll have the focused work environment you need to create your best work. Easy access to all the amenities – Working in a top Los Angeles photo studio, you and your crew will be much more comfortable in a climate controlled environment with access to your own kitchen and bathrooms. You may even have other luxuries like a private production office and hair and makeup room you’d never have on location. Perfect lighting – If you’ve ever shot outside, you’ll know that the lighting conditions can change at any time. However, in the studio, you’ll be able to control the lighting to be exactly as you’d like when you’d like. Studio lighting is also generally much softer than natural light, giving a more polished and professional finish. Ability to create multiple scenes without changing physical location– Most photo studios in Los Angeles are set up to allow you to quickly create different scenes that you simply couldn’t otherwise do without having to move your physical shoot location. Not only will this save you and your crew time and money, but it’ll also create infinite options of diverse moods and conditions. 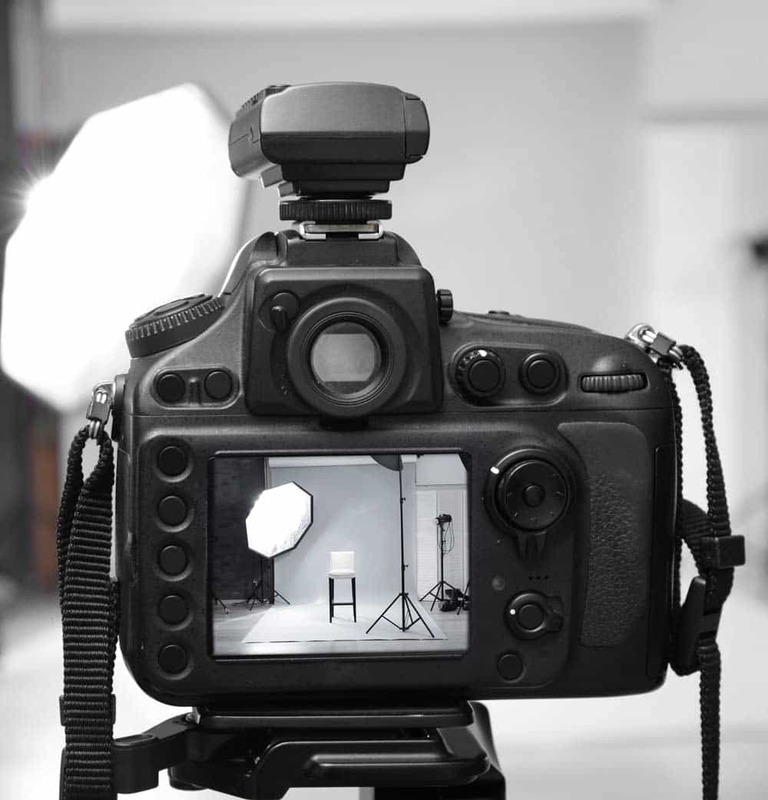 Cost-effectiveness – Even after factoring in the rental cost, filming in a Los Angeles photo studio can be much less costly than filming on location. Not only will you save money on travel and setup times, because production is usually easier and all the conveniences are provided, you’ll be able to get all the shots you want in much less time. Most photographers find that editing photos taken in a studio is much faster than correcting locational shots too. WHEN SHOULD I USE A LOS ANGELES PHOTO STUDIO? Los Angeles photo studios are perfect for amateur and professional photographers who are looking for a comfortable and controllable environment in which to shoot almost anything. This includes fashion shoots, professional business headshots and any type of product photography from food and jewelry to car advertisements. They’re also essential for anyone who wants to use a plain white, patterned or colored infinity background as a white cyc studio is the only location that can create this versatile and professional look. 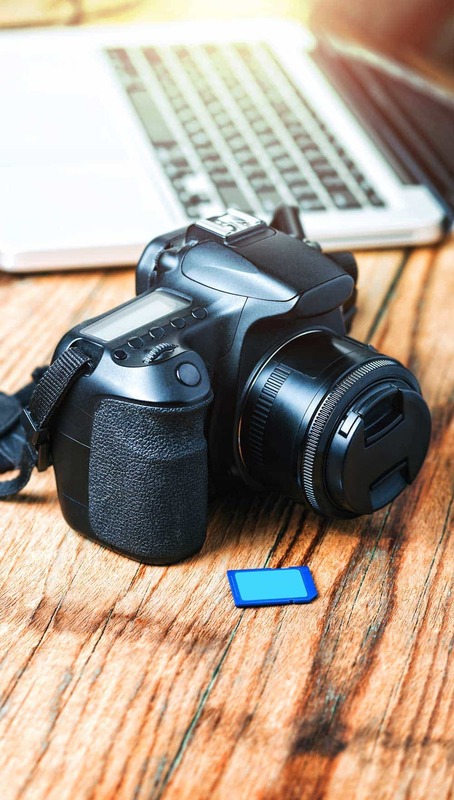 Because photo studios in Los Angeles are also an affordable option, they’re increasingly being used by social media influences and reviewers to create professional looking shots for websites, eBooks and other online distribution channels. Even if you’ve never shot in a professional photo studio before, you’ll be pleasantly surprised at how achievable and affordable organizing and running your own Los Angeles photo studio session can be. When it comes to finding the best photo studio Los Angeles has to offer, what you’re looking for will largely depend on your needs. First and foremost, consider the type of studio on offer. Are you looking for a large empty space to create your own set? Or, do you need a white cyc or green screen to photograph your subjects in front of? Some Los Angeles photo studios (like us), do offer all of the above if you want more options for your photo shoot. Once you’ve got the type of Los Angeles photo studio you need sorted, it’s important that there’s plenty of space for you to conduct your shoot. However, this doesn’t just mean that the talent area is big enough to fit your subjects and scene set. It’s also important that the studio’s ceiling isn’t prohibitively low and that you’ve got plenty of space outside of the shooting area to easily move around and capture all the camera angles you’d like. The best way to gauge how much space you need is to visit the Los Angeles photo studio you’re considering renting. While you’re there, measure how much room your talent, products and/or props will take up and if you’re not exactly sure, go with the more space is better mentality. It’s also a good idea to make sure that the studio is clean and clear from any clutter that would make working difficult and that there’s no damage to the condition of white cyc or green screen walls that would dirty your shot. Another major consideration of any Los Angeles photo studio rental is that they’ve got a great lighting setup. Test the studio lights to make sure that they eliminate shadows from falling on your shooting space and that the light doesn’t create excessive glare on the backdrop surfaces. You should always be able to bring your own lighting and equipment with you to your shoot. However, if you don’t own all the gear you’d like, choose a studio that allows you to rent it. 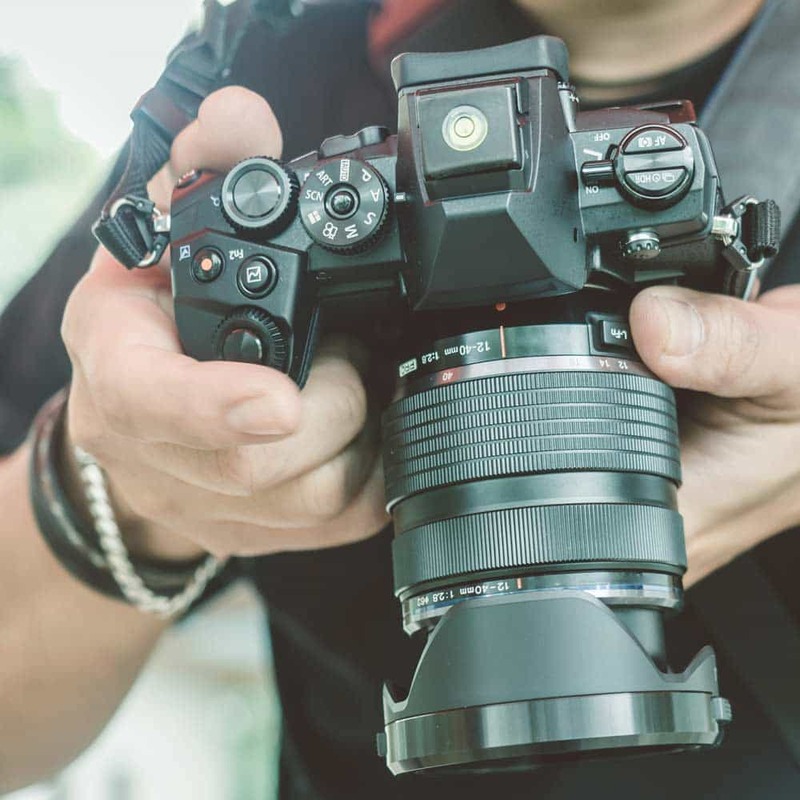 Additionally, the top photo studio Los Angeles photographers have at their disposal should also include access to other amenities that will help their shoot runs as smoothly as possible. This includes things such as a production area, wardrobe rooms, hair and makeup rooms, bathrooms, WiFi and onsite parking. As you can see, there’s a lot that goes into creating the best photo studio Los Angeles has on offer. But, if you’re looking for it, we’ve got it here at Goya Studios. Conveniently located close to you and your talent in downtown Hollywood, we’ve got a wide variety of photo studio space available to rent that’s designed to suit any types of photographic application from small to large. What’s more, we also include all the extra amenities you need to make your studio session comfortable and efficient. At Goya Studios, we don’t compromise on offering the best photo studio Los Angeles has to offer. With exceptional facilities and all the additional amenities needed to make your photo shoot run smoothly, we’re happy to welcome any amateur or professional photographer who’s looking for a quality studio space at an affordable price. Located right where you need us, in downtown Hollywood, ask us today about how we can cater to all of your photo studio Los Angeles needs. Here at Goya Studios, you’ll be able to shoot in the best photo studio Los Angeles has on offer. We have 3 photo studios that are of differing sizes and layouts to cater to all types and sizes of projects. Stage A is a large, 4600 square foot space that features polished concrete floors, brick walls and bow trusses. It’s perfect for the photographer who wants a warm and industrious look but is also large enough to set up your own custom set within the space. A 12’ overhead pipe grid hangs overhead, giving complete flexibility to create all sorts of lighting. There’s also a huge, 3535 square feet of support space for you and your crew. Stage B offers a 20’ by 21’ white cyc photo studio Los Angeles photographers can use for more intimate settings such as professional headshots, fashion and makeup shoots and most product photography. The shooting area is surrounded by an additional 1550 square feet of supporting space that includes an office for reviewing work, a dressing room, hair and makeup room, full kitchen and private restrooms. There’s also a 20’ overhead pipe grid for additional lighting and/or stunt work. Stage C contains a larger, 52’ by 52’ white cyc screen that’s headed with a 21’ overhead pipe grid. It makes the perfect studio photography setting for larger photoshoots that incorporate lots of people, large products and/or a custom set. This studio also incorporates all of our additional amenities to meet all your photo studio Los Angeles needs. To make sure that we meet to all of your needs, we’re also able to host any type of special event. So, if you want to host a photo exhibit, corporate event or red-carpet evening, simply inquire about how we can make this happen.